Tactic: Copy a list of upcoming event attendees into EverTrue to easily see attendees and their engagement scores, gift officer assignments, giving histories, and more. 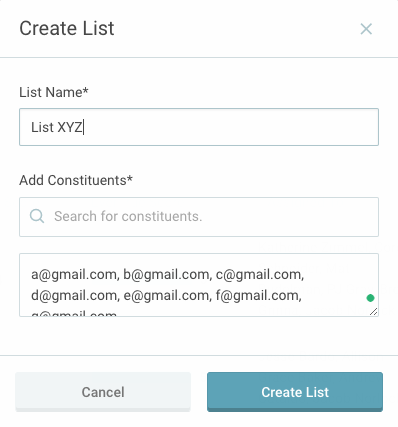 It’s easy to take a list of event attendees and copy and paste a list of their constituent IDs or email addresses into EverTrue. You can then use this list to drill down and see which prospects you should meet with at the event or which gift officers should be in attendance. Bonus: Use EverTrue to see which attendees have already made their annual fund gift, then follow up with non-donors after the event. Results: Create seamless interaction between alumni/parent relations and your fundraising team by tying event attendance directly into prospect development and outreach.